Usborne children's books, games, toys -- storytime at noon! Garlic Underground micro living herbs and greens as well as garlic too! The Little BisonPrime cuts of bison, beef, prime pork, lamb and chicken. 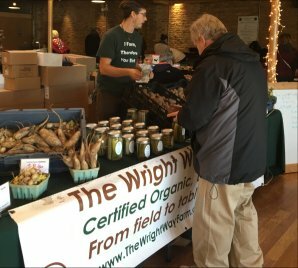 Farm fresh eggs, Wisconsin hand crafted Cheddar Cheeses, Amish butters and jar goods too! Spark of the Heart - soups, salads dips & more!